When I read the back of my brand new oven thermometer, I thought the warning “It is not uncommon for ovens to be inaccurate over 50 degrees!” was pretty inflammatory. 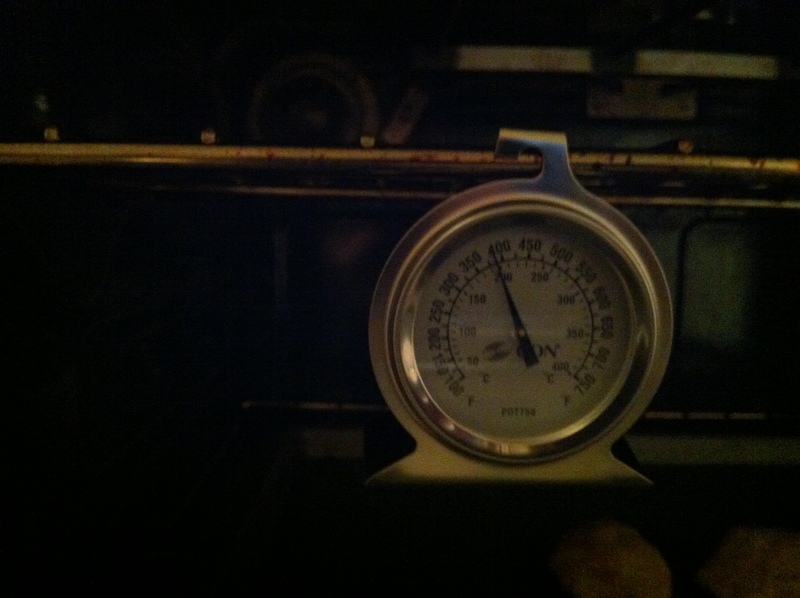 But it turns out that my oven is 45 degrees off. When pre-heated to 350, the thermometer read 305. Yikes. So good news for anyone who thinks they just can’t bake – for just $5 on Amazon.com, you too can get an oven thermometer and improve your cookies in no time.